Throughout January, in the UK, I have watched people struggling to get their accounts stuff together for the 31 January tax return deadline. Spare a thought for your accountant if you have one. What (s)he really doesn’t want is 100% of clients delivering their stuff in January. Imagine that just for a moment, what if you had to do all your work for all your clients in one month of the year? And January at that, perhaps the grimmest of all months. In January last year I had cause to visit my accountant to get his signature on something to do with anti money-laundering regulations (sigh), and fortunately he’s a pal so he didn’t really need to explain away why he was sitting in his running shorts. He clearly hadn’t seen daylight for weeks and he definitely didn’t know what day of the week it was (Saturday). We nearly went into partnership together in 1995, so he knows I know his pain. No words were needed. Poor sausage that’s all I’ll say. Next time I’ll take him a veg box. Why do we leave this chore to the last moment? Sweating the deadline is stressful for us and it’s even worse for them, the accounting elves. How can our accountants do their best work if we ALL leave it to the deadline? 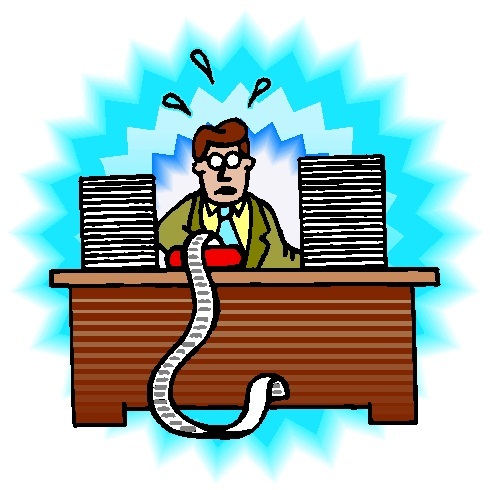 Please make it your resolution now to do your accounting on a more timely basis. You can do it any day you like from 6th April onwards and the sooner you do it, the easier it is to remember what you were up to in the year that ended on the day before. What I find is, like most chores, it’s much easier to do than I think it will be. In fact, my tax return doesn’t take very long at all. Property accounts, check. Bank interest, check. They’ve already done my business accounts x 2, so what WAS I making all the fuss about? JFDI. And perhaps the best bit is the angelic glow which comes after I’ve done it and the relief releases energy I can use for more creative projects. I can surf an angelic glow for quite some weeks, me. After that little appeal on behalf of exhausted accountants everywhere who surely must be having three days under the duvet, if not a well deserved ski-ing holiday on the piss piste to recover, I’m going to move on to a couple of closely related observations I also made this week about sums. I exchanged Tweets with a woman who was bemoaning doing her expenses on 1st February. I applauded her. How many of us turn around and do our expenses for January on 1st Feb? Even I don’t do that. I do it when the fancy takes me, usually when my cleaning lady chases me down to my office at the bottom of the garden where I do my financial filing and my expenses to escape her hoovering. I told my Tweeter to tweet me back when she’d done them and to let me know how good she felt on the angelic glow-ometer. I knew she’d feel great, we all do once another chore is ticked off our list, don’t we? I know I do. Tell me it’s not just me? It tells you how productive a month you have had (or not) which gives you a target for next month if you are under. You’ll want to exceed that target anyway, won’t you? It gives you a list of how much is owed to you and by whom (debtors). Thus you can work out who’s into you for “too much” before you do any more work for them. It enables you to plan cashflow and increase productivity. Secret double-whammy weapon, that one. It helps you see if you are under-charging for your valuable time. I suspect you are. You can compare month on month and anything you measure is bound to increase. It’s businesslike and efficient and gives you an incentive to get as many projects signed off as possible by the end of each month. For those projects which are not signed off yet, you can evaluate the monetary value of your WIP (work in progress), thus you already know how much you have made which will form part of next month’s billing. Doesn’t mean you can afford to relax because you know you are going to bill that later, but might provide some comfort if you are, say, on holiday next month or sick (God forbid). And sometimes you can invoice some WIP as stage payments, in agreement with your client. Which enhances positive cashflow, by which I mean stops you running out of dosh! If you want to chat this through, do remember to Ask Judith or set up a Skype convo. As you know, I used to be an accountant “but I’m alright now” as I like to say. Boom Boom! Not my joke, though I wish it were. I stole it from a chap I met at a conference once. Anyway, here’s a pic of me in the first flush of my accounting days. Bless! 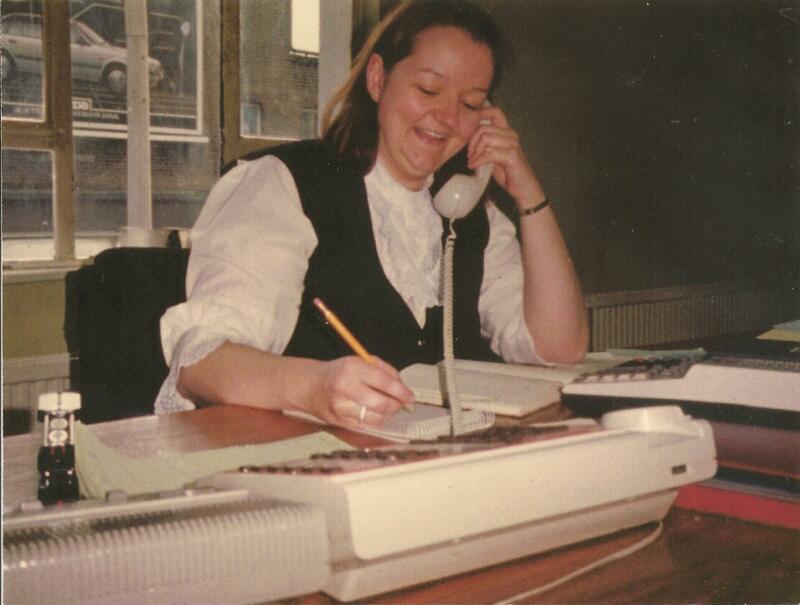 Look at that client-friendly smile, the adding machine, the journals, the old-fangled stapler, me working with a pencil in an old world notebook, telephones with wires on, not to mention the jabot. Yes, definitely let’s not mention the jabot. It’s another life, isnt it? Keen as mustard in 1984, a careerist on the upward slope. Go girl! The warm and fuzzy feel of getting your accounts up to date and your self-assessment submitted early also lasts all year.